Your special day deserves a fun and memorable finishing touch. 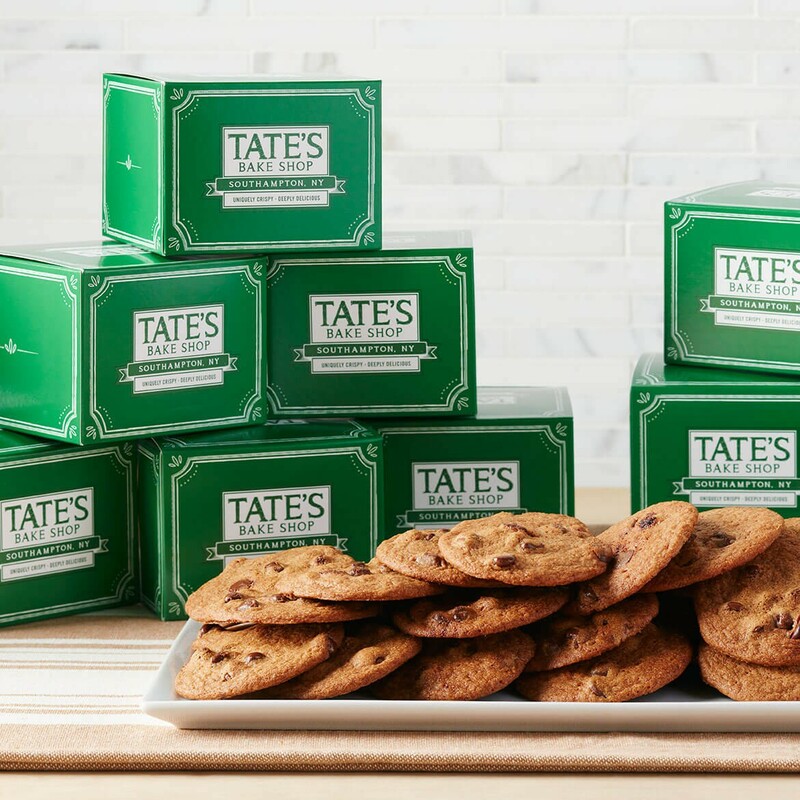 Delight your guests and leave them smiling with the great taste of Tate's signature Chocolate Chip cookies! Each elegant white gift box contains approximately 7 of our best-selling baked treats, and with 12 favors in each case, you'll want to make sure there are plenty to go around! Each box measures 4"x4"x3". Great news! Our wedding favors are now available in White Chocolate Macadamia, Chocolate Chip Walnut, Oatmeal Raisin, Double Chocolate Chip, Whole Wheat Dark Chocolate, Coconut Crisp and Gluten Free Chocolate Chip. To place an order for one of these flavors, please call the Tate's Bake Shop team at 631-257-5830. The wedding favors work great as a small gift. I give them out to my friends and co-workers during the Holidays. Everybody loves Tate's Chocolate Chip cookies. Gonna get married all over again... just to have these as my favors. I want to have another wedding just to give my friends and family the gift of pure deliciousness!!!!! Wedding favorites were an absolute hit! I added a chocolate brown ribbon and they looked beautiful! 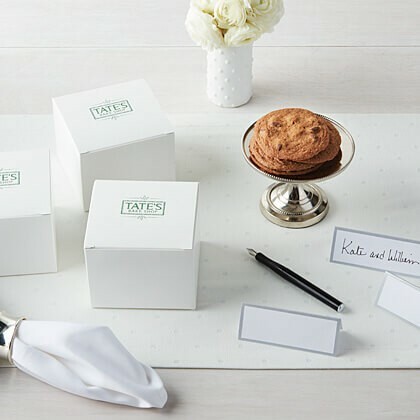 Now I\'m ordering Tate\'s for corporate gifts for my clients - I\'m obsessed! Diana.